In this guide, the actual laptop is Acer Aspire One A150-1570. 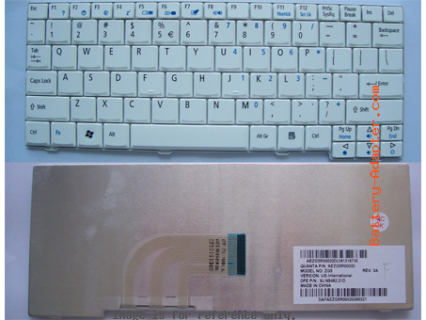 Its keyboard is the same with Acer Aspire One A150, Aspire one D150, Asipre one D250 keyboard. More compatible information, please refer to the keyboard description under this instruction. First of all, turn off your Acer Aspire One A150, disconnect the power adapter and remove the battery. 1. 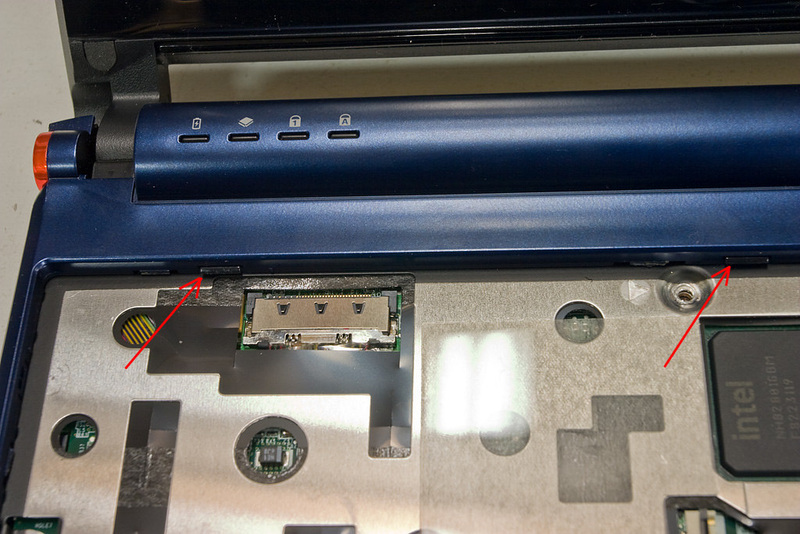 There are 3 locking tabs at the top of the Acer Aspire One A150 keyboard, in the top cover, sticking out over the edge of the keyboard. Press them toward the back of the machine with a small flat screwdriver. Gently pry the keyboard up from the top. Be careful not to pop off any keycaps. There are small nibs holding it in place on the sides, and they will resist removal. Be careful of the keyboard cable. 2. 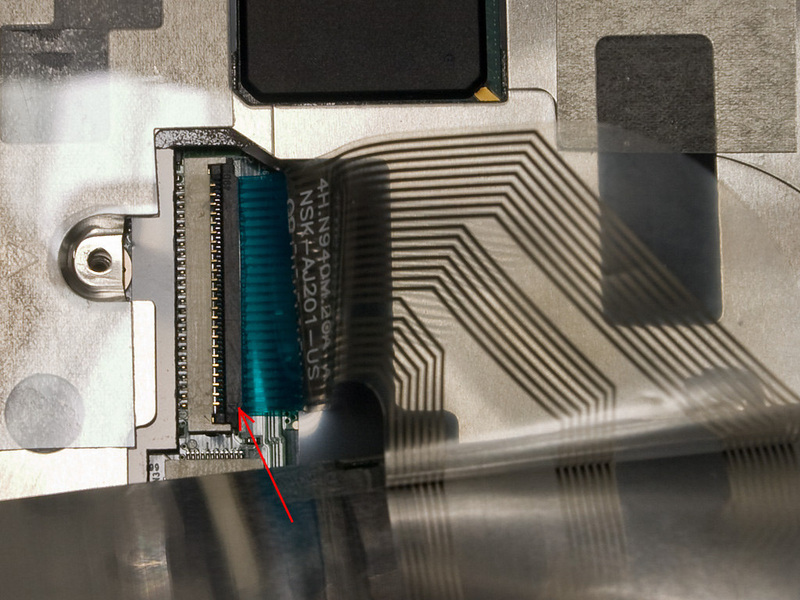 When the Acer Aspire One A150 keyboard comes up, disconnect the keyboard cable by gently pulling up on the right edge of the black cable lock (near the blue part of the cable). When it rotates up, the cable can be pulled free. 3. Lift out the keyboard. 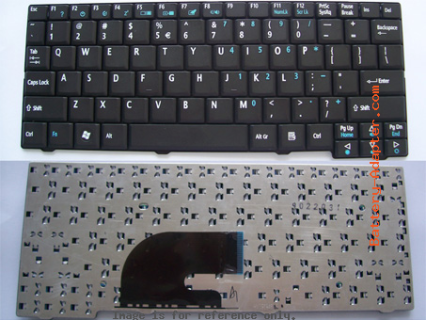 Reverse the procedure to install you new Acer Aspire One A150 keyboard.